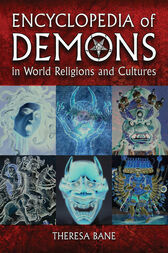 This exhaustive volume catalogs nearly three thousand demons in the mythologies and lore of virtually every ancient society and most religions. From Aamon, the demon of life and reproduction with the head of a serpent and the body of a wolf in Christian demonology, to Zu, the half-man, half-bird personification of the southern wind and thunder clouds in Sumero-Akkadian mythology, entries offer descriptions of each demon's origins, appearance and cultural significance. Also included are descriptions of the demonic and diabolical members making up the hierarchy of Hell and the numerous species of demons that, according to various folklores, mythologies, and religions, populate the earth and plague mankind. Very thoroughly indexed.